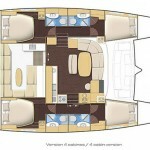 Length Overall : 44' 8"
Serena is our stunning Lagoon 440 with 4 cabins and fully loaded options. 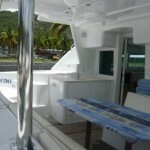 The raised central helm station gives perfect 360° visibility and all the control lines are within easy reach. 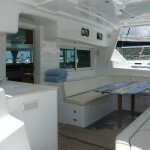 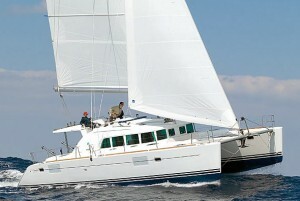 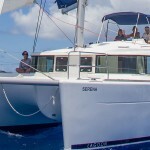 Even a reduced crew can easily maneuver the Lagoon 440. 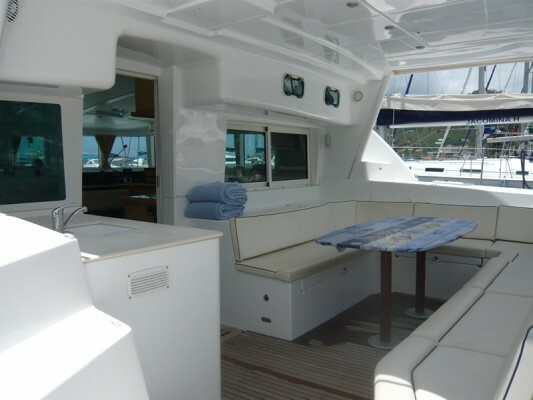 The large bench seat in the helm station quickly becomes the favorite spot to take part in and enjoy the navigation skills. 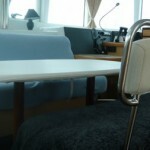 The hull design is powerful yet seaworthy. 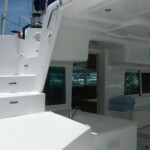 The bow volume and care in the weight distribution reduce the pitching motion to a minimum. 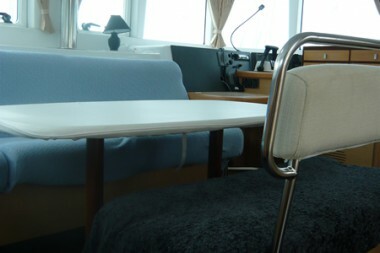 The gull-wing shaped bridgedeck allows smoother passage through the waves . 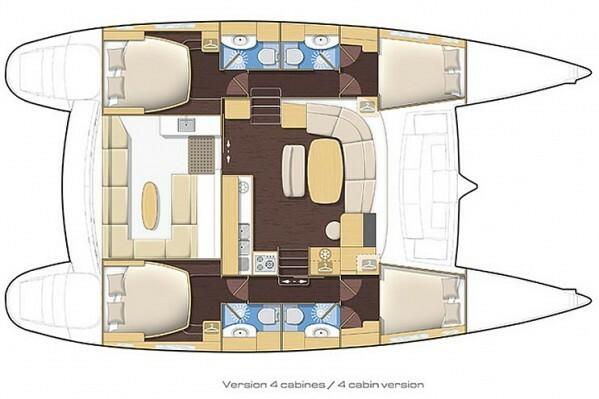 High ratio sail plan and fine hull appendices make this new Lagoon 440 a fast seaworthy, comfortable and elegant catamaran. 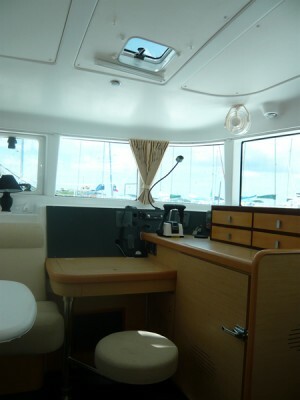 The spacious aft cockpit is protected under a rigid bimini top. 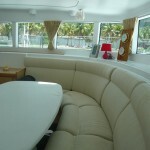 Passage to and from the saloon and galley is unhampered. 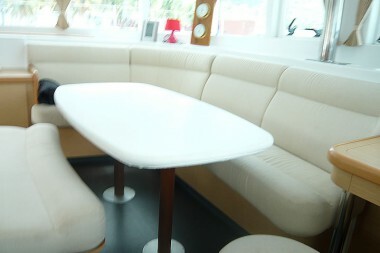 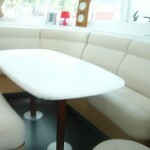 The large dining table can either be set in the saloon or in the cockpit. 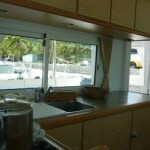 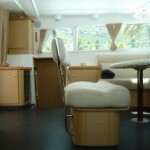 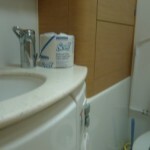 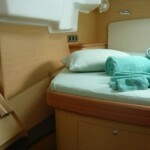 It can also be stowed in a cleverly designed locker built in the bimini top. 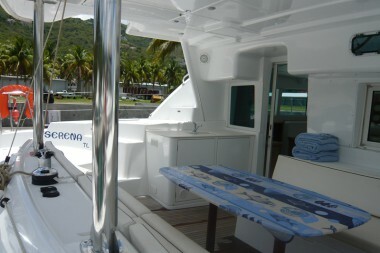 The aft passerelle allows passage from one transom to the other without going back up in the cockpit. 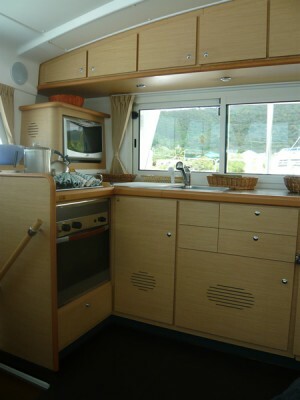 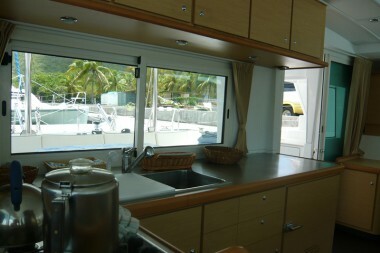 The large L-shaped galley faces the cockpit and has been designed as a professional area where the chef will be able to reveal all of his or her skills. 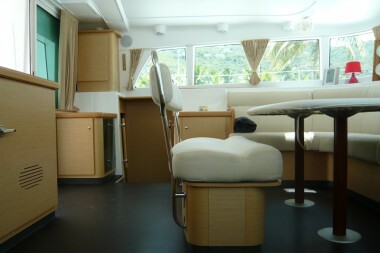 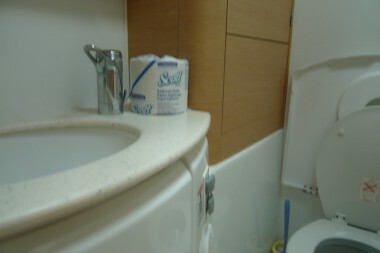 The saloon provides a 360° panoramic view. 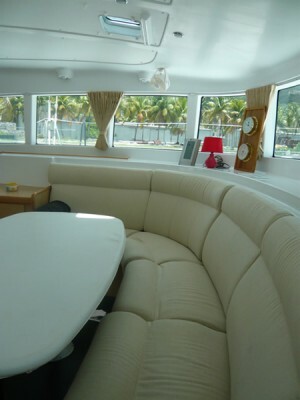 The saloon on the Lagoon 440 is a superb living space. 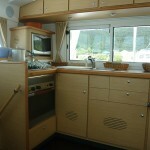 The light oak Alpi woodwork and the laminated wenge floor give a modern and relaxing feel. 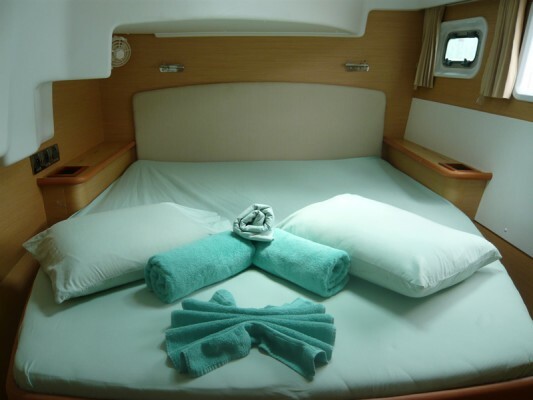 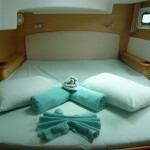 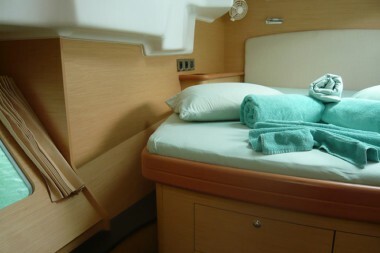 All 4 cabins are fit for royalty with their queen-size central bed! 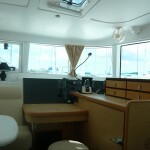 Large hull fixed windows bring in lots of natural light and offer an unequalled view on the outside while staying discrete. 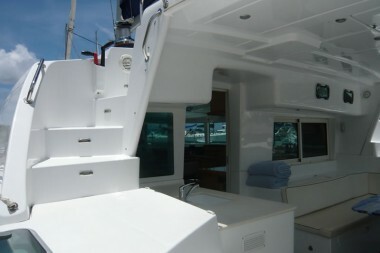 Optimal cabin ventilation is assured by numerous opening portholes and hatches.